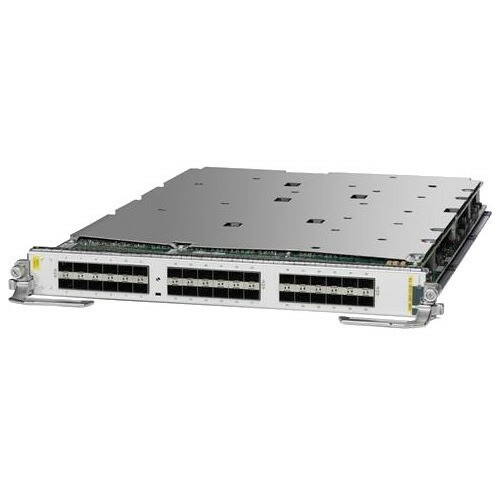 The Cisco ASR 9000 Series 1-Port 100 Gigabit Ethernet Line Cards are fully compatible with all Cisco ASR 9000 Series chassis, route switch processors (RSPs), and line cards. No hardware upgrade to the chassis or cooling system is required. Total bandwidth is dependent on the number and type of RSPs installed. 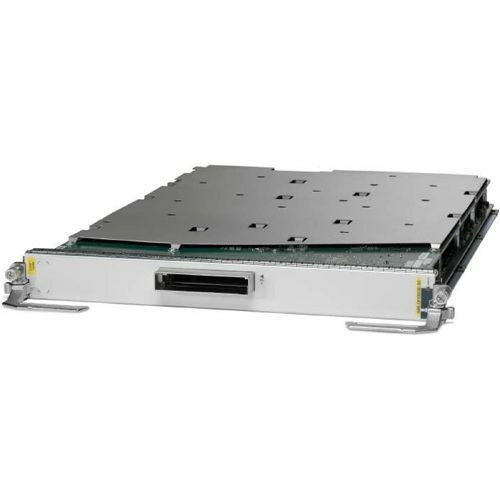 The Cisco ASR 9000 Series 1-Port 100 Gigabit Ethernet Line Cards are also fully compatible with the 22-slot Cisco ASR 9922 chassis. Each line card provides simultaneous support for both Layer 2 and Layer 3 services and features, helping operators qualify and stock a single line card that can be deployed in any combination of Layer 2 and Layer 3 applications, thereby reducing capital expenditures (CapEx) and operating expenses (OpEx), as well as reducing the time required to develop and deploy new services. The Cisco ASR 9000 Series 1-Port 100 Gigabit Ethernet line cards set a new standard for Layer 2 and Layer 3 service density and scale, allowing operators to offer predictable, managed transport services while optimizing the use of network assets.